Attendance at the Detroit Zoo has surpassed 1 million for the sixth consecutive year, according to zoo officials. The zoo said 1,217,200 visitors turned out in 2011. 2010’s attendance was 1,146,241. Officials credit Dinosauria, the zoo’s popular summer attraction with more than 30 life-like animatronic dinosaurs, as a key factor in the increase. The exhibit drew roughly 28 percent of Zoo visitors between May 25 and Sept. 5. Renovations to the lions exhibit, which debuted in August, also proved popular with visitors who can now get better views of the big cats in their larger domain through a 17-foot glass wall. “It’s wonderful to see the community continue to enjoy the zoo, including the new attractions,” said Detroit Zoological Society Executive Director Ron Kagan. Attendance surpassed the 1 million mark in September. Other attractions that debuted in 2011 included a 36-foot wood-and-brass carousel that features 33 hand-carved and hand-painted figures, such as traditional horses as well as exotic mammals, birds, reptiles, frogs, insects, snakes, fish, seahorses and dinosaurs. The zoo also opened an American Coney Island restaurant, introduced Science On a Sphere – an animated hologram-like globe that displays dynamic representations of the Earth’s atmospheric, oceanic and land activities – and created a new habitat at the Holden Museum of Living Reptiles for its 18-foot reticulated python, officials said. 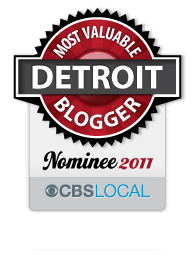 Plans for 2012 include the introduction of a Michigan wetlands and beaver habitat. 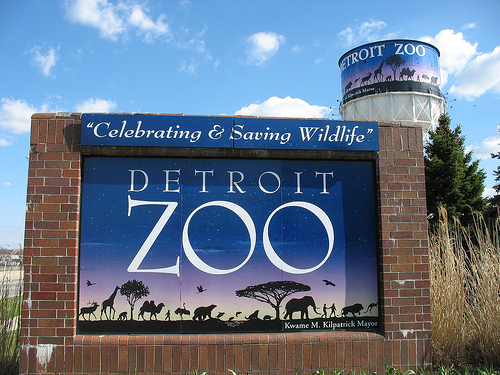 This entry was posted in Detroit, Things To Do and tagged animals, detroit, detroit zoo, dinosauria, Michigan, zoo. Bookmark the permalink.